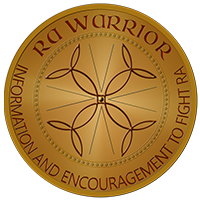 People asked me for years to publish a gift guide for people with rheumatoid arthritis (RA) / disease (RD). 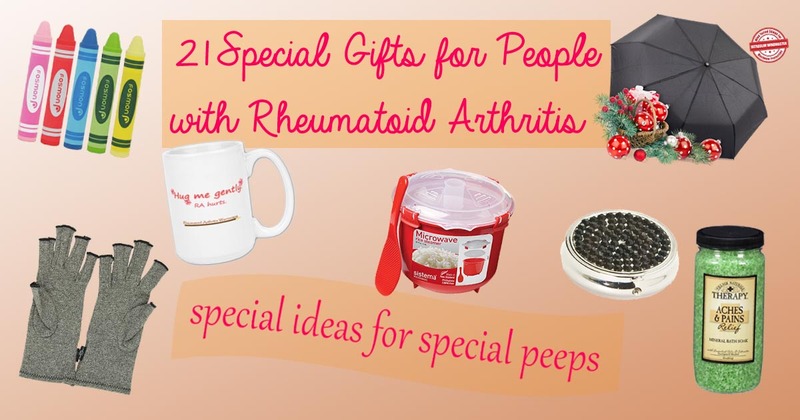 The past few months I thought about what the best gifts for people with rheumatoid arthritis are anyway. We appreciate the same loving gifts as anyone else. But there are also gifts that could show special concern and kindness. Here are a few gifts that say “I understand it’s so difficult and painful for you to live with RA / RD every single day.” It was hard to edit my list to 20, so I’m sure I left out some great ones. Please add your suggestions in a comment. A pillbox with bling! Bling is awesome. Pills all day are not. Might as well make the best of it and have a pretty pillbox! Warm it up in the microwave for natural moist heat therapy. Or chill it in the freezer for soothing cool therapy. Free Lavender Eye Pillow & Free Sleep Mask. Many with swollen RA hands can wear a stretch ring as a more comfortable option, instead of to giving up rings. Great for special occasions. Caution sign with orange cone spreads awareness of chronic illness with fun. Great gift for anyone with an illness like rheumatoid arthritis. 16-inch square pillow made of soft, heavy weight stretch material. Warrior inspired heart design with text of Celtic scrolls and original fonts in fun vintage colors. The name says it all. Remembering gentle hugs are needed may be one of the best medicines for RD. Lightweight pill box to tuck in a purse or pocket. I use several sizes of pill boxes so I don’t have to carry more than I need. Personalized with your name at no extra charge. Available with more colors and designs. Years ago I made these for gifts. We used them a lot and they last a long time. And they are cheap. You can customize them with a cute or really long sock. You can add whatever fragrance or herb you’d like to enhance the experience. The sock can also go in the freezer to become a cool pack. Here are some instructions you can start with when creating your own rice sock. You’ve seen these before, but you can kick it up a notch. Make the coupon for something you know the loved one with RA won’t (or can’t) purchase for himself / herself. You can even print out beautiful personalized coupons. Put them on the fridge after opening so they can’t be lost. This is a top of the line version: GelPro Elite is 50% thicker than GelPro Classic. There are no words to describe how much this helps someone with RA feet. My mom bought me several of these over the years. I’ve used them in kitchen, laundry room, and bathroom. Note: there is a cheaper lighter duty version of the GelPro mats if the Elite is just too much. A more high-end long lasting quality stylus with a wide grip. Comfortable rubber grip designed to be like a dry erase marker. Stylus tip is responsive and glides effortlessly over the glass screen which means less effort for your hands. For when you need to use a stylus on touch screens, this is highly rated for comfort, and even drawing on tablet screens. I’ve searched a long time for the perfect RA umbrella – and this may be it. Auto open AND auto close with one button. Unbreakable with unbelievable lifetime guarantee. Compact when folded, but opens to golf umbrella size canopy. Compression gloves provide mild compression to help control or decrease swelling of the joints. I like wearing these to drive. They do help with swelling. I do wish they covered the DIP joints (near the fingertips), but I haven’t seen any arthritis gloves that do. I sleep in these. It helps. I like using these gloves underneath wrist or thumb braces, especially when I have to do something really hard like drive a long distance. It might be good to have TWO sizes of gloves. I have the small, but there are times I can’t get them on because my hands are too swollen. So, I could use a medium pair as well. I’ve used this bath salt for years and it’s so wonderful. If getting in and out of the tub were easier, I’d use this every day! Bath salts are supposed to help reduce inflammation, but this one has the added ingredients of eucalyptus, spearmint, and menthol to soothe, comfort, and revive aching joints. You can get these a little cheaper at Wal-Mart if you can find them. The online price has shipping included. I LOVE this thing! It is a great idea. I use it for broccoli and green beans too. You can cook any veggies in it. Very lightweight and easy to hold and clean. Cooks any rice or grain. Recipes for stews and more included in manual. More shapes, colors, and sizes available. Use this foam tubing to modify utensils and tools that you love but are hard to hold onto. Cut to fit and slide onto a handle for a larger softer handle that is easier to grip. Stylus pens with a thick grip that is easier to handle and hold. Thicker pens are easier to hold when you must write by hand or provide a signature. Lightweight and inexpensive so you can carry one in your purse (like I do) for when you have to write or sign something. These pens have a comfortable cushioned grip over the entire barrel allows you to hold the pen in the best way for you. Easy to hold because it’s larger than other clippers and has a rubberized grip. Sharp precision ground cutting edge. Catches nail trimmings – impossible to pickup with #rheum fingers! Patented jar opener that’s a big help with RA. I have this. I love it! 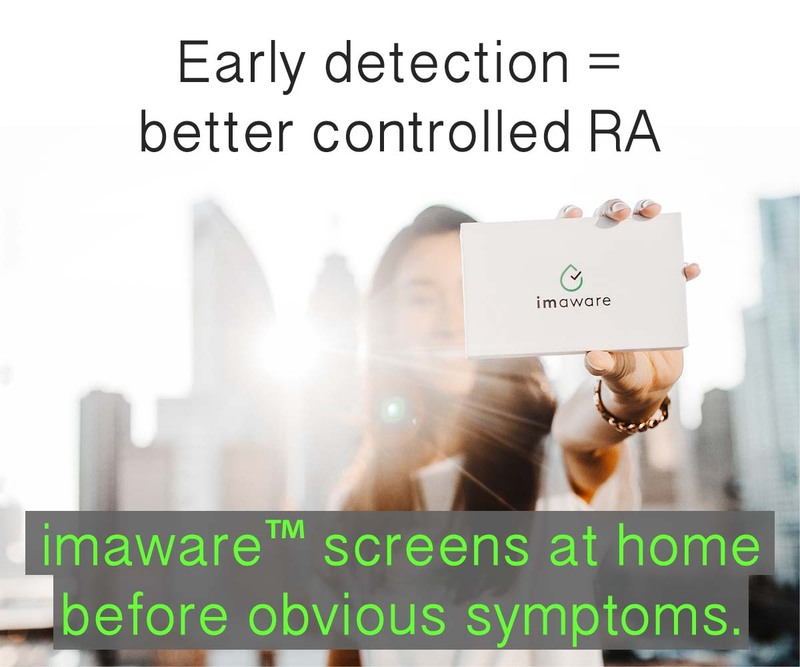 And so do family members who don’t have RA. The only time I have trouble is when I don’t have either hand good enough to hold a jar still. Then, I ask for help to hold the jar. In that case, you could consider an electric jar opener found here. 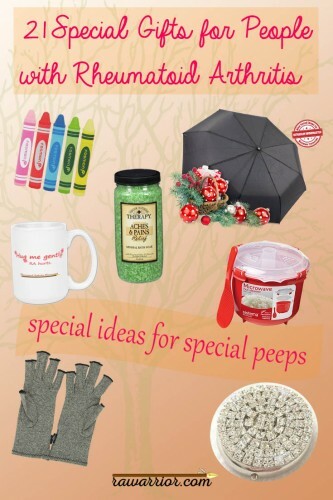 It’s not that hard to find great gifts for people with rheumatoid arthritis / disease. I think my list could have a hundred items. Hopefully there’s something here that will work for you or a loved one with RD, or these will inspire you to think of just the perfect gift. Each one of these gifts is thoughtful and brilliant!!! Thank you for the suggestions. I will pass these along to my family! 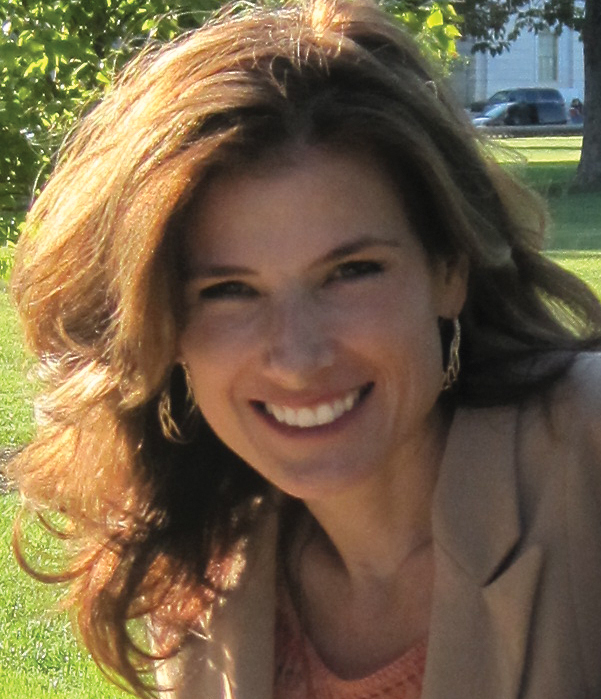 Hugs and much love to you, Kelly!! Thanks Lynn! I hope you have a blessed holiday. This is a great list, I made a gift guide list recently too and totally have a similar gel mat on mine too. I really need them as much time as I spend my feet cooking and feeding my 3 hungry sons and their daddy. I am going to have to check out the nail clippers. I avoid cutting my nails until absolutely necessary because it’s hard for me to do it. Thanks for sharing this list! Hamilton Beach Open Ease Automatic Jar Opener. I was very skeptical about this when I first bought it, but I gave it to my mother anyway. The way it works is still magic to me! But my mother LOVES it, she says it’s the best present I have ever given her! And it was less than $20! i have the can opener by hamilton beach, also under $20 and lifesaving, can openers are one of the hardest things for me. i am a seamstress (i know crazy) and i have made cup sleeves for a few years, but just started making some with handles as holding to go coffee cups in also crazy pain inducing. An umbrella with a push button is not very practical for persons with RA. My mother has extreme pain and no force when pushing buttons. Lovely ideas, thanks! I esp like the stretchy ring idea. I haven’t been able to wear my wedding ring in about 5 years. How about an electric can opener? My wife uses the Thixotropic-brand of Super Big Fat Pens sold. They also make zipper pulls and other unique products for people with RA.